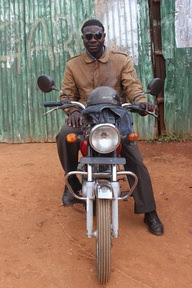 Bodaboda Baby: When skating's quicker than a bodaboda (but more deadly). 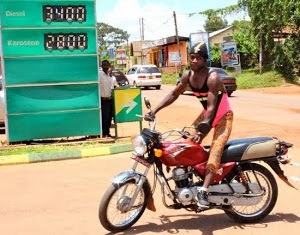 When skating's quicker than a bodaboda (but more deadly). 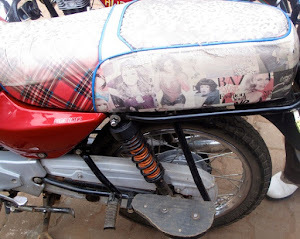 And here I was thinking I'd have to write a boring post about what the boda drivers do when it rains. 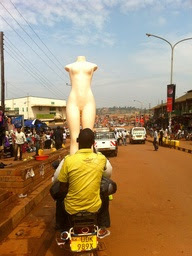 That's the thing about Kampala, you never know what you'll see on the roads. 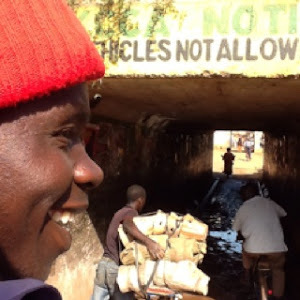 In the past year I've spotted a camel, a matatu (taxi) called School Fees, a male boda wearing a fluro pink, yellow and black leotard over a pair of tights, another one carrying a naked person. Every week I add to my list. But I never thought I'd bump into a group of about skaters as I was getting off a boda near Makerere to meet my friend Tinka at her office on drizzly Saturday last week. 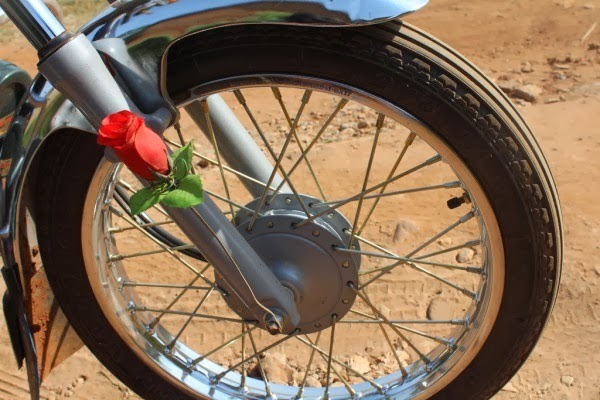 We're constantly being told in Ug that bodas are supposedly dangerous, and to avoid them. To skate though, surely one must really have a death wish? Abey Selukunkuma, a musician who works part-time for Ashe Entertainment, which was formed in 2007 and hires skaters to promote Ugandan brands such as MTN, Stanbic and even high profile Pastor Kayanja's Miracle Cathedral Central, says without a doubt rollerblading is more dangerous than taking a boda. "Skating is more dangerous," he told me. "We go through a lot of hard times because we're strong and passionate about this." The 23-year-old's been rollerblading for a decade since he saw a friend doing it. 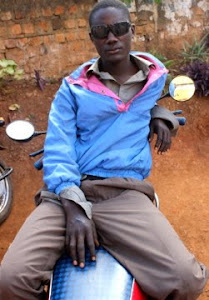 In more recent times he's witnessed three young friends, all skating to earn money, die on Kampala's roads, and escaped death himself. 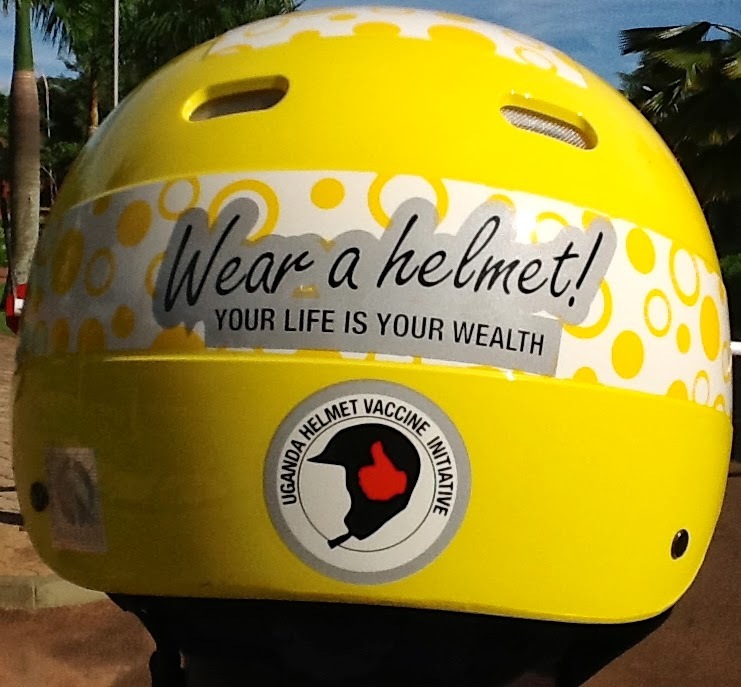 The latest fatality was in July when a skater collided with a taxi. Another victim died after being struck by a truck while on a water break. The skater was dragged along the ground by the lorry as his friends watched, helplessly. Abey himself ended up in Mulago hospital and unconscious for a day after grabbing the back of a car and trying to hitch a lift on busy Entebbe Road. "I felt I was strong enough and I wouldn't fall off. I was that confident," he recalls. 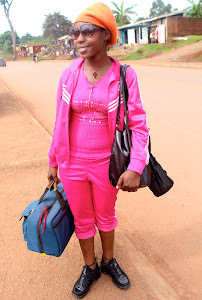 "When someone tells us to leave the car sometimes we are stubborn. We don't want to leave the car. "But the guy drove the car at high speed and suddenly had to stop (break). Guess what happened? I fell off. He "rolled and rolled and rolled in the middle of the road". 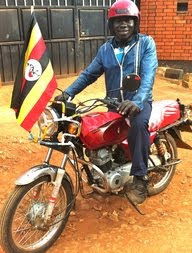 "A boda was about to hit me," says Abey, who with his dreadlocks looks like quite a tough dude, but who I later discover has I Will Always Love You as his call waiting music on his phone. Despite the skyhigh chance of a similar incident occurring, he's not packing away his rollerblades anytime soon. "An accident's an accident. 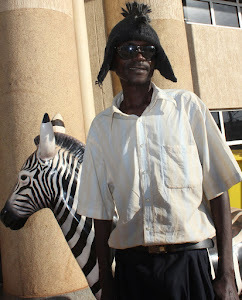 If something's bound to happen it will happen," says the Ashe chief skater brazenly. "A car can run into you from anywhere." The money and freebies are a big lure, he admits. 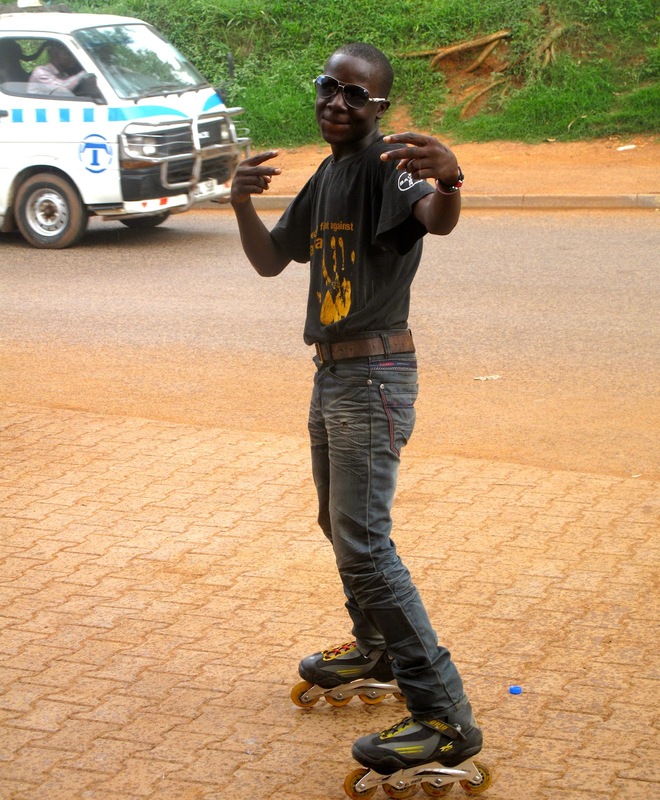 Abey says he has up to 50 skaters on call at any one time and each get at least 50,000 Ugandan shillings per job. 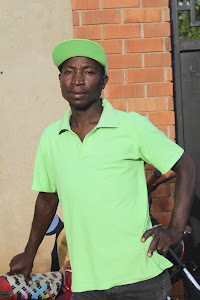 "We get to go to entertainment shows for free," he explains, adding that the December until February period is normally the most profitable. But some thrill seekers will even skate for nada. "That kind of excitement can push you to do it," Abey says. 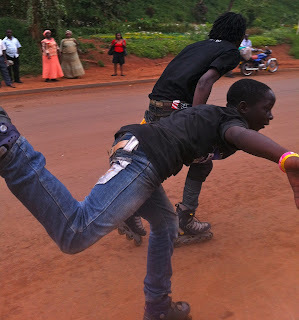 The skates usually arrive in Kampala on big containers via lorries importing goods into Uganda. 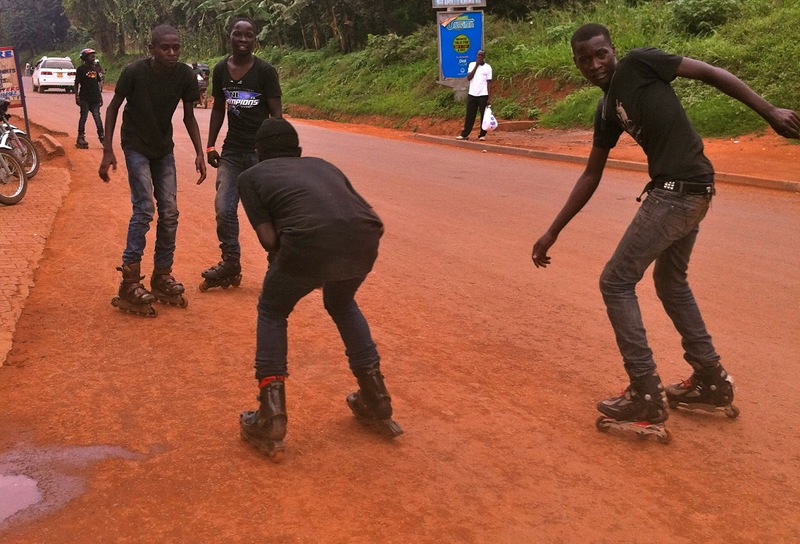 Excited rollerbladers flock to Entebbe Road in the city to buy them. 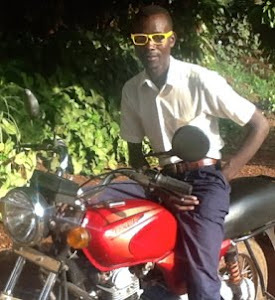 As for their gear, this is purchased from Owino. Abey says if there's an individual who has "the passion" for skating it may take them only one week to learn. But for someone who is "fearful" they may still be trying to master it a month later. 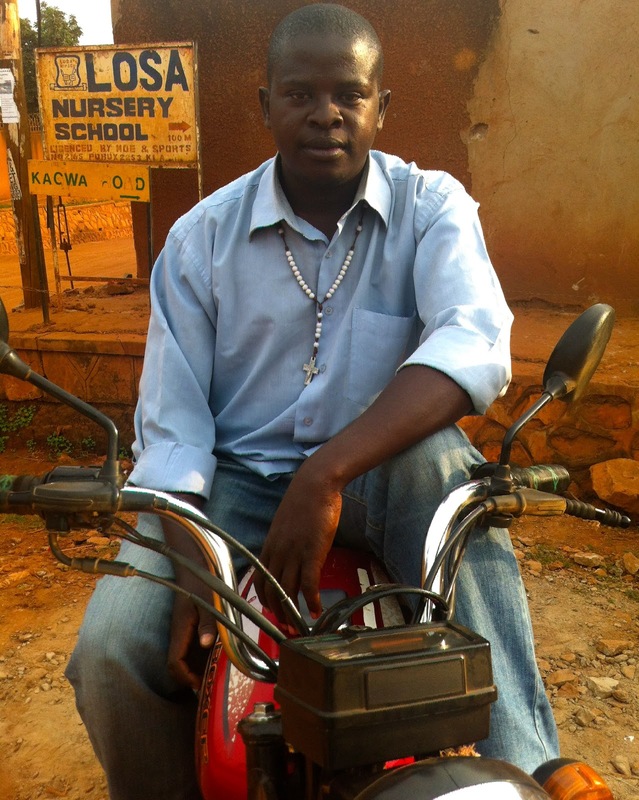 Riding a bodaboda, Abey insists, is for people who simply want to earn money. "But skating is for both fun, and you can earn," he concludes. 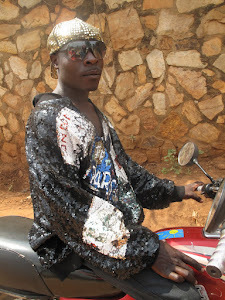 When asked whether the skaters like sharing the road with the bodas, Abey says he respects them but "There are some things that they do that don't make sense". 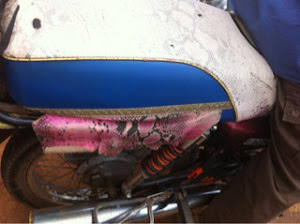 "It's as if they want so much to see us being hurt, yet for us skaters we don't want to see the bodas hurt. 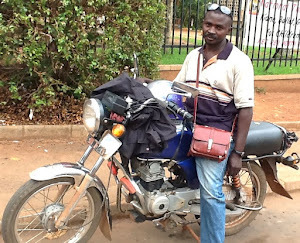 Oh, and there's one more thing that irks him about Kampala's motorbike drivers (warning: you may be shocked). 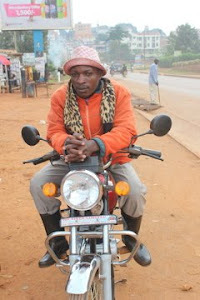 "Most bodaboda drivers smoke weed," Abey says. Eat your heart out Torvill and Dean. An even bigger poser, in the middle wearing the mustard-coloured dress. And the posing didn't end there. Check out that nice red bike. 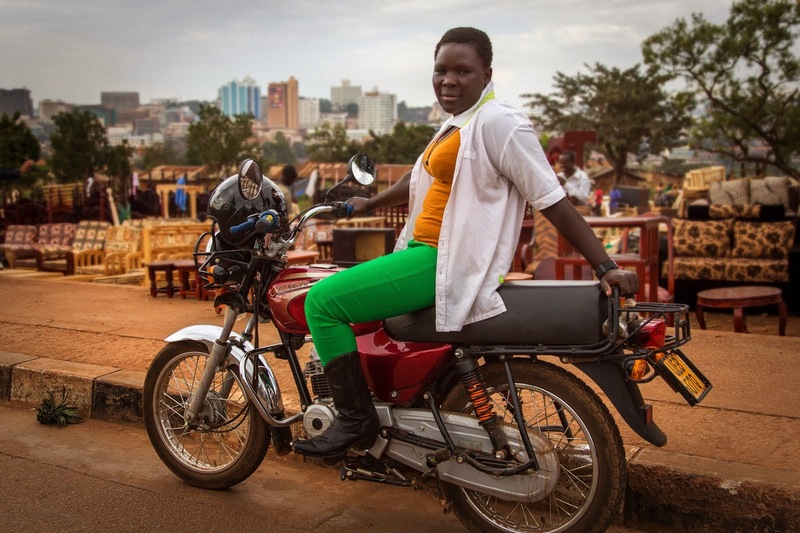 "Driving a boda can be more dangerous than skating because skating it is a game. 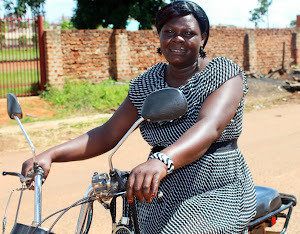 But riding a bodaboda is part of making money and in the process of making money you don't know who you're taking on this bodaboda. 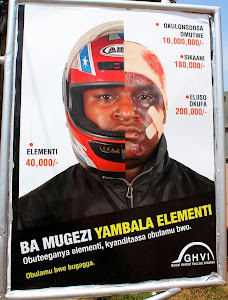 The one (passenger) you're taking might be a thief who's after that bodaboda, he ends up killing you and taking the bodaboda. "But physically, skating is more dangerous than this one, because you're competing with pedestrians, motorcycles, taxis. You can even be skating on a road which isn't tarmaced where there are some potholes. 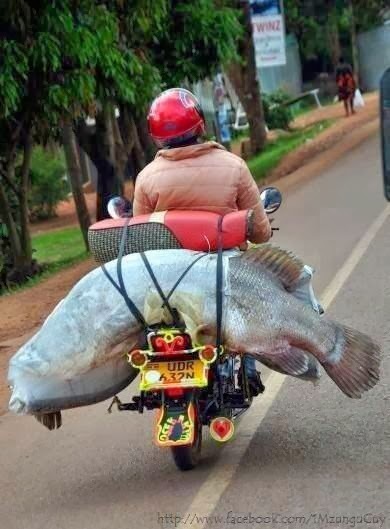 The moment he comes to that pothole he's broken the leg. "I don't want to do this (skating). I fear it." "Bodaboda is quickest. Now, if you are coming up here from the other end, you can meet a vehicle and touch it (grab onto it) so it can take you up. "Skating is done by the youths, people who are still energetic. I'm beyond that age." 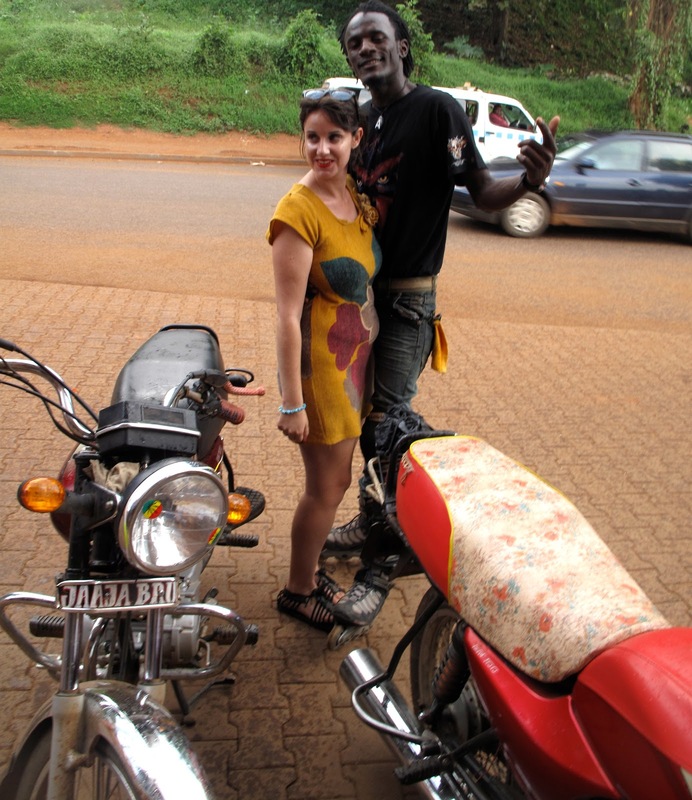 My regular boda driver Julius won't be getting his skates on anytime soon.